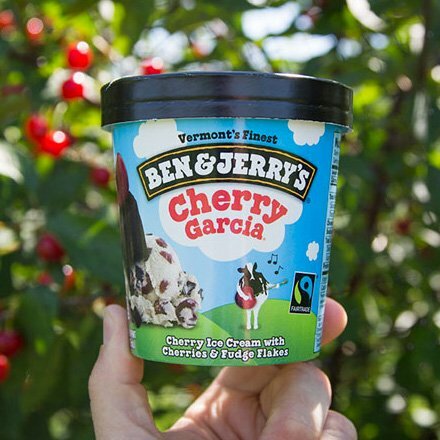 As you may know, one of the most popular flavors of ice cream ever introduced by Ben & Jerry’s is Cherry Garcia. An unexpected consequence of that popularity was what became known as the worst job position in all of Ben and Jerry’s – the Cherry Pit Inspector on the line when they were running Cherry Garcia. Everyone hated the job because it was so painfully boring. There were rarely any issues with cherry pits, and it was a mind-numbing task to stay vigilant. It was becoming even more of a problem because people were doing everything possible to avoid that assignment as word spread that it was almost considered a punishment. What if we flip the punishment into a reward? Ben & Jerry’s decided to start offering a REWARD for each rare pit discovered. The position soon became so desirable and “fun” that there was a waiting list for the newly engaging assignment of Cherry Pit Inspector. To put this in content marketing speak, they gamified it. Even executives were signing up for a shift and looking forward to finding a few cherry pits. A punishing job position became a highlight of the operation and a shared experience for lots of engaged employees. The value of the reward was beyond monetary because the recognition was special too. The role of the Cherry Pit Inspector became one that was respected and valued by all employees. Does your B2B marketing program have any assignments that no one wants and everyone avoids? If your marketing department is like most B2B marketing departments, then you are probably under-staffed and possibly under-appreciated. It’s a tough racket. Whether your title is CMO, VP of Marketing, Marketing Director or Marketing Manager, you are expected to wear many hats and be accountable to the C-Suite, Sales, and Channel Partners for leads. Some of the tasks required can be as tedious as that of the Cherry Pit inspector. There is a creative element to most things in marketing, but it’s not always a picnic. Buyer Persona Development, B2B Blog Writing, Content Offers, Lead Nurturing Workflows, SEO and SEM management, Campaign planning and analysis, MQL and SQL quotas, budget requests and ROI accountability, sales enablement and social media engagement are all duties that must be assigned or outsourced. And it can often be a thankless job. In B2B marketing, metrics matter. Budgets are often limited and demonstrating ROI is the best way to grow them. I love B2B marketing, and there’s not much I like more than flipping a problem into a solution with good questions and a great idea. I realize it’s not that easy for a marketing executive working within the pressures and constraints of a corporate structure. But I believe you can do something to change it for the better. What can you do to make the most undesirable job functions within your B2B marketing program more rewarding – and fun? Give me a call and let’s talk about it. I’m sure we can create a Cherry Pit story with a positive outcome for you too. Something as basic as optimizing landing pages is important but it’s a task that isn’t very exciting. Here’s a guide that can help.